Newcastle United | NUFC Blog. 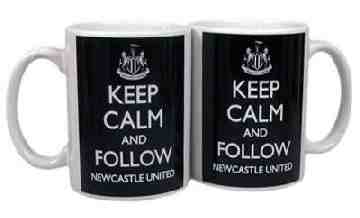 Archive for tag: Newcastle United. 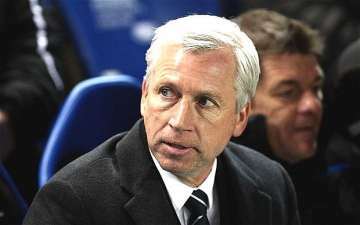 Newcastle United’s Alan Pardew has been named Barclays Premiership manager of the season. A very well deserved award and something else to put a strut into every Geordie’s step this summer when wearing the shirt with pride on your hollys in Europe’s top hot spots! This is the first time a United manager has ever won this award. But lets face it, in a season where most fans thought we would be mid-table at best, we are sitting in a guaranteed fifth place in the Premier League, and have also qualified for the Europa League. And the season isn’t over yet of course! 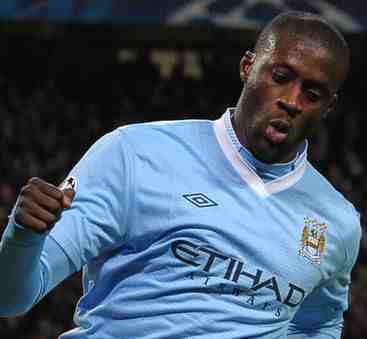 If results go our way on Sunday, we could still finish by qualifying for the Champion’s League. 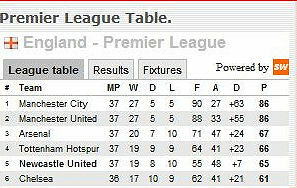 But whatever happens on Sunday, this has been a highly successful season for United. We’ve made quite a few people in football sit up and take note. We’ve had some amazing results, well deserved too, and we’ve won over a lot of neutrals, and seen our team talked about in glowing terms by prominent TV pundits like Jamie Redknapp, who to his credit, has been a big fan of our performances from an early stage in the season. 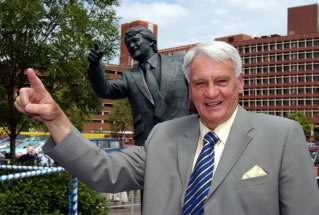 Newcastle United have announced that a statue of Sir Bobby Robson is to be unveiled before the final home game of the season on 6th May. The statue will be nine and a half feet high and cast in bronze. It will be situated at the south west corner of St James’ Park. Ipswich Town, of course, have had a statue of Sir Bobby outside their ground for many years – a much younger Sir Bobby it has to be said. I’ve had my photo taken standing beside that one, and will be completing the set when United’s new statue is in place! “We’re delighted to be able to honour Sir Bobby Robson with this lasting tribute.